One of the best and the stable firmwares with bloat ware free and without the default apps which come in a fresh phone is now a reality. All thanks to the Prism Barebone custom ROM firmware which ropes in the Lollipop 5.0.1 Android OS. 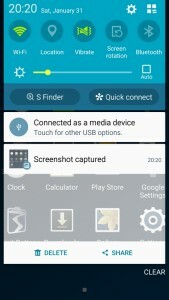 Over a period of this article let’s check out in detail on what are the steps with which you can install this firmware in your Galaxy S4 I9500 variant. Being the custom ROM firmware, this is the biggest advantage that user can take from. This firmware is based on the XXUHOA7 base ROM. What’s Special in this firmware? Enable USB Debugging mode from “Settings > Developer Options”. If you can’t see the Developer Options, tap multiple times on “About phone”. Download “Root Checker” app from Google Play Store to check on whether the device is rooted or not as this firmware can only be applied on the rooted devices being the custom firmware. 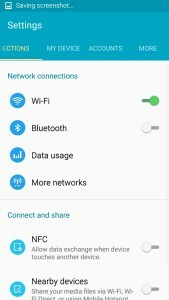 Download Lollipop 5.0.1 Android OS Package (Alternate Link) from here to your computer and place the same in your device. Once done, disconnect the device and turn off the device so that it can be entered in the recovery mode. Galaxy S5 can be entered into the recovery mode by holding the Volume Up button + the Home key button (the middle button). While holding these both buttons, you need to switch ON your device. In recovery mode, select “wipe data” option for wiping all the data present tin your device. Once done, you now need to also go into “advanced” to choose the option of “Clear cache” so that all cache data can also be removed. Now, select “go back” and choose the option of “install from sd card” to select the zip file which you have placed in the device. Once done, you just need to follow the in screen instructions for applying this zip package update. Please note that the whole process of firmware update will take around 3-4 minutes. Once done, device will be rebooted. Note: If your Samsung Galaxy S4 goes in the boot loop mode, you need to long press the Volume Up + Power ON the device in the Off state to clear the cache and reboot the device. 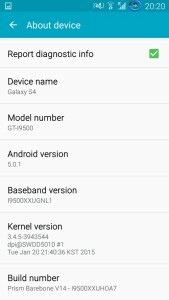 So there you go, you have now successfully learnt on how you can update your Galaxy S4 with the latest Lollipop 5.0.1 update. Do let us know in the comments section just in case if you face any issues. Can I install in i9505 version ? No mohd. this version is only available for i9500 variant.